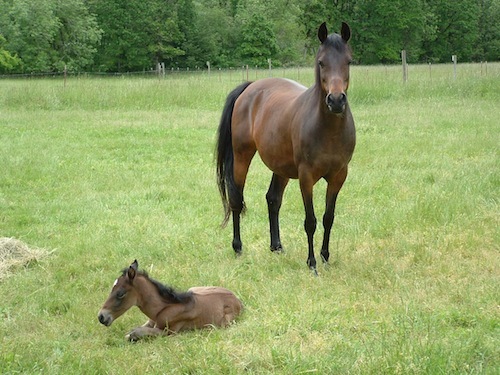 The proper mare nutrition is of utter importance during pregnancy, which is why Yea-Sacc® live yeast culture is an important part of the diet. 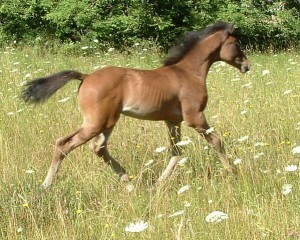 The gestational period is one of the most critical stages in the development of the young horse. Though genetics are fixed at this stage, much can be done nutritionally to ensure the birth of a healthy, structurally sound foal. One of the most critical steps in the proper management of the pregnant mare nutrition is to adequately maintain her body weight and condition within proper ranges. By doing this, the mare will reproduce more efficiently, and produce healthier foals more regularly, compared to mares that are too thin or overweight. As the foal grows and develops, the nutritional needs of the mare will increase as more strain is placed on bodily reserves of energy, protein, minerals, and vitamins. From a physiological aspect, restrictions placed on the mare by the growing foal towards the end of the pregnancy are also of importance. All things considered, the pregnant mare’s nutrition should concentrate on providing the best feed available, and utilizing the maximum amount of nutrients possible from the diet being fed in order to maintain good condition and health during this critical stage. The most consistent effect of live yeast supplementation in horses is improved feed utilization, ie. getting the most out of the feed being consumed by the animal. Studying lactating mares, Glade (1991) showed that Yea-Sacc® 1026 has a dramatic effect on nutrient digestibility. More energy and protein for the mare means better condition, as well as better milk production. Similar results were shown by Hill and Gutsell (1998) with regard to mineral digestibilities.